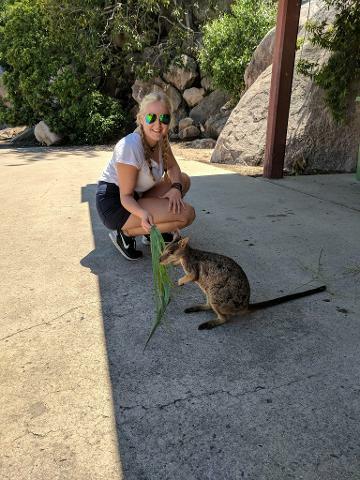 Magnetic island is a wildlife lovers paradise. There about 800 wild Koalas to find you'll probably see some wallabies lazing in the sun. We have over 180 identified bird species and 141 fish species locally. Throw in some sightings of whales in Cleveland Bay during the winter months and you are unlikely to be disappointed, though we never guarantee sightings. 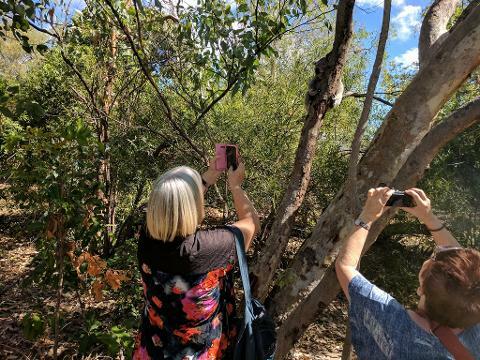 A mature and highly-regarded local guide will provide friendly, entertaining commentary on hundreds of topics, covering birds and wildlife, trees, geology, history and folklore as you tour the scenic roads and byways of the beautiful Magnetic Island.. You'll visit all the major sights including one or two secret spots some locals don't even know about. For the 10:05am tour you will need to catch the 9:30am Sealink depature or the 9:00am Fantasea Barge service. We leave from the Island ferry terminal at 10.05 am and return to ferry terminal by 2.50 pm, in time for you to catch the 3 pm Sealink or 3.30pm FantaSea ferry back to Townsville.